Camera Smartphone me photo capture karne or video record karne ka karya karta hai. yah different Smartphone me different Mega pixel (MP) ke hote hai. Smartphone mobile ke camera acchi quality ke hote hai. 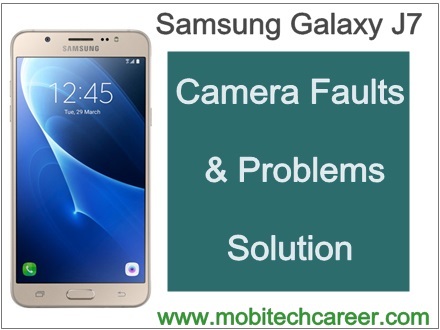 Android Smartphone repairing me aaj aap Samsung Galaxy J7 ke camera ki all faults ko solve karna sikhenge. 1. Camera ke lens ko clean kare. Dirt ko hataye. 2. Camera ke point clean krke resold kare or connect kare. 3. Smartphone PCB per Camera section ko wash krke clean kare. 4. Camera ko change kare. 1. Sabse Pahle Phone me camera open karke Camera ki setting ko acche se check kare. 2. Phone ko open kare. Camera ko camera connector se bahar nikale or camera connector ko acche se clean or wash karke Camera lagaye. 3. Camera Section ke parts check kare, fault ho to parts resold or change kare. Agar fault solve na ho to next steps ko follow kare. 4. Camera section track ways ko check kare, camera ways broken hai to jumper kare. 5. Camera hataye or Camera touching points, camera connector or camera section ko acchi tarah se wash or clean kare. 6. Camera change kare. Agar fault solve na ho to next step follow kare. 7. Camera Drive IC ko Heat, Reball or Change Kare. Next lessons ke liye free email subscription karna na bhule. 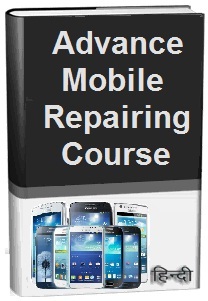 Free course ko apne friends ke sath jarur share kare.